It's Not the Glory is the story of the first 30 years of the U.S. Women's National Soccer Team, telling the remarkable tale of what has become one of the most popular and socially relevant sports teams in history. Using anecdotes from observations and interviews with nearly 50 players and coaches from every generation, It's Not the Glory explains the team's culture of excellence through the words of those who established it, and nurtured it over the years. 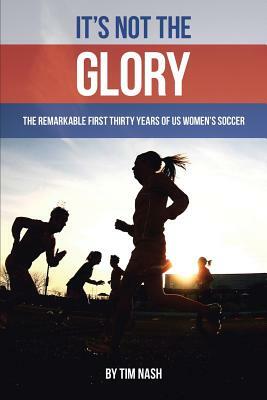 From Heinrichs and Akers on to Overbeck, Hamm, Foudy and Lilly, through Rampone, Wambach, Morgan and Lloyd, and everyone in between, It's Not the Glory, details the character and characters that helped the USA have an enormous impact on society while rising to the very top of the women's soccer world.